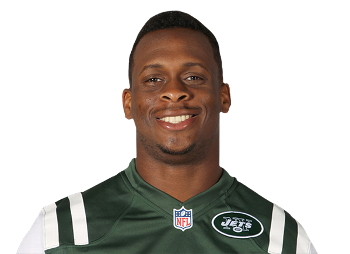 New York Jets quarterback Geno Smith will miss at least 6 to 10 weeks after being punched by teammate Ikemefuna Enemkpali in the locker room. Smith suffered a broken jaw that required surgery to repair the injuries. Coach Todd Bowles said that altercation was over a trivial matter, and that the blow from Enemkpali was a sucker punch. Enemkpali was immediately released by the team. It seems like a fitting punishment for a teammate who put his team’s on-the-field leader out of commission for so long. Many controversies that erupt in churches are over trivial matters. And sometimes a leader will be “sucker punched” by a verbal assault. Many times, however, the offending “teammate” will never be disciplined in any way. It’s a shame that secular organizations sometimes have a better grasp of biblical leadership principles than local congregations. “Warn a divisive person once, and then warn him a second time. After that, have nothing to do with him. You may be sure that such a man is warped and sinful; he is self-condemned.”—Titus 3:10-11. This entry was posted in Christian Living, Church, Current Events, Leadership, Sports and tagged church discipline, Coach Todd Bowles, division in the church, divisive people, fight in Jets locker room, Geno Smith, Ikemefuna Enemkpali, illustration, sucker punch, Titus 3:10-11. Bookmark the permalink.